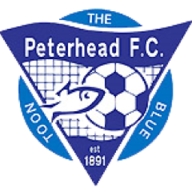 Match ends, Inverness CT 3, Peterhead 0. Second Half ends, Inverness CT 3, Peterhead 0. Goal! Inverness CT 3, Peterhead 0. Daniel Mackay (Inverness CT) header from the centre of the box to the bottom right corner. John Baird (Inverness CT) wins a free kick in the attacking half. Aidan McIlduff (Peterhead) wins a free kick in the attacking half. 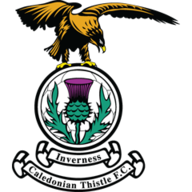 Substitution, Inverness CT. Daniel Mackay replaces Riccardo Calder. Substitution, Peterhead. Marc Lawrence replaces Scott Brown. Substitution, Inverness CT. Alex Cooper replaces Liam Polworth. Allan Smith (Peterhead) wins a free kick in the attacking half. Attempt blocked. John Baird (Inverness CT) right footed shot from the left side of the box is blocked. Corner, Inverness CT. Conceded by David McCracken. Corner, Peterhead. Conceded by Coll Donaldson. Allan Smith (Peterhead) wins a free kick in the defensive half. Attempt saved. John Baird (Inverness CT) left footed shot from the left side of the box is saved in the centre of the goal. Substitution, Inverness CT. George Oakley replaces Connor Bell. Substitution, Peterhead. Scott Adams replaces Rory McAllister. Hand ball by John Baird (Inverness CT). Connor Bell (Inverness CT) wins a free kick in the defensive half. Brad McKay (Inverness CT) wins a free kick in the attacking half. Attempt missed. Liam Polworth (Inverness CT) left footed shot from the centre of the box misses to the right. Attempt missed. Jack Leitch (Peterhead) left footed shot from the centre of the box is too high. Corner, Peterhead. Conceded by Carl Tremarco. Brad McKay (Inverness CT) wins a free kick in the defensive half. Brad McKay (Inverness CT) is shown the yellow card. Jason Brown (Peterhead) wins a free kick in the defensive half. Substitution, Peterhead. Allan Smith replaces Russell McLean. Goal! Inverness CT 2, Peterhead 0. Riccardo Calder (Inverness CT) right footed shot from the centre of the box to the bottom right corner. Assisted by Liam Polworth. Second Half begins Inverness CT 1, Peterhead 0. First Half ends, Inverness CT 1, Peterhead 0. Attempt saved. Russell McLean (Peterhead) right footed shot from the centre of the box is saved in the centre of the goal. Russell McLean (Peterhead) wins a free kick in the defensive half. Russell McLean (Peterhead) wins a free kick in the attacking half. Attempt missed. Scott Brown (Peterhead) left footed shot from outside the box misses to the left. Attempt saved. Riccardo Calder (Inverness CT) header from the centre of the box is saved in the centre of the goal. Attempt missed. Rory McAllister (Peterhead) right footed shot from outside the box misses to the right. Attempt missed. Connor Bell (Inverness CT) right footed shot from the centre of the box misses to the right. Corner, Inverness CT. Conceded by Aidan McIlduff. David McCracken (Peterhead) wins a free kick in the defensive half. Connor Bell (Inverness CT) wins a free kick in the attacking half. Attempt blocked. Aidan McIlduff (Peterhead) left footed shot from outside the box is blocked. Attempt missed. Russell McLean (Peterhead) right footed shot from the centre of the box is too high. Attempt saved. Jamie Stevenson (Peterhead) right footed shot from outside the box is saved in the centre of the goal. Corner, Inverness CT. Conceded by Greg Fleming. Attempt saved. John Baird (Inverness CT) left footed shot from the left side of the box is saved in the top centre of the goal. Attempt missed. Rory McAllister (Peterhead) right footed shot from the centre of the box is too high. Goal! Inverness CT 1, Peterhead 0. Liam Polworth (Inverness CT) right footed shot from outside the box to the bottom left corner. Assisted by Joe Chalmers.